Certain ideas about diet and health, for better or for worse, have worked their way deeply into the American psyche in the last few decades. We're advised by health authorities, the news media, food advertisements, our doctors and our friends to eat less saturated fat, red meat and sugar, and more fruit, vegetables and whole grains. This has been the mainstream message for roughly four decades. To some degree, people are listening. 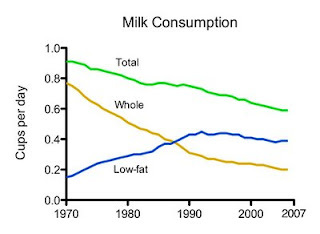 We've replaced animal fats with unsaturated vegetable oils, red meat with poultry, whole milk with low-fat milk, and we're eating more fruit and vegetables than in recent history. Here are two graphs of U.S. Department of Agriculture data to illustrate the point: Whole grains are a very instructive case. Dr. Dennis Burkitt was one of the originators of the idea that fiber is good for health. He spent a number of years in eastern Africa, where he observed that natives on their traditional high-grain-fiber diets were free of many modern degenerative conditions, particularly those involving the digestive system. He found that as these cultures began to rely on Western foods such as white flour and sugar, their health declined dramatically. This is similar to the observation Dr. Weston Price made, however the two men interpreted their findings differently. Price attributed the effect to a loss of micronutrients, while Burkitt attributed it to the loss of fiber. Higher whole-grain intake was associated with having more education, a lower body mass index and waist-to-hip ratio [and] being a non-smoker, doing more regular physical activity, and using vitamin supplements and hormone replacement therapy. Do whole grains prevent smoking too? An alternative explanation is that the women who were eating whole grains were all-around more conscientious and concerned about their health than those eating refined grains. And why not? They "knew" from mainstream diet advice that whole grains are healthier than refined grains. When is the last time you saw someone smoking a cigarette while eating whole grain muesli with skim milk and half a grapefruit for breakfast? Is it easier to imagine someone smoking while eating a donut and sweetened coffee? Women who eat whole grains, on average, are those that care about their health and adopt patterns that they perceive as healthy throughout their lives. This includes behaviors large and small, both measurable and unmeasurable. The investigators factored smoking into their model, but you can't factor in things you didn't measure or don't understand. Maybe it will come as no surprise, then, that the Diet and Reinfarction showed a trend toward increased mortality in the group that doubled its grain fiber intake. Here's the graph of survival in the two groups. It's important to mention that the fiber group probably increased its grain fiber haphazardly, using bran and unfermented grains, rather than the traditional processing techniques of healthy grain-based cultures Burkitt described. Here's the theory. When the public decides that a particular behavior is healthy, at that point it becomes difficult to accurately measure its impact on health using observational studies. This is due to the fact that healthy, conscientious people tend to gravitate toward the recommendation. If a theory manages to become implanted early on, it will become a self-fulfilling prophecy as healthy, conscientious people adopt the behavior and are detected by subsequent observational studies. People who don't care about their health or aren't motivated enough to make a change will keep living how they used to, and that will also be detected. You can adjust for some of these factors if you measure them. Researchers commonly adjust for age, gender, smoking, exercise and sometimes other factors when they're trying to nail down the effect of a particular factor on health. But you can't measure all the little things that accompany a health-conscious lifestyle. Do the participants take the stairs or the elevator? Do they take supplements, and if so, which ones? How much sunlight do they get? Do they have positive relationships with their friends and family? How often do they shave (kidding)? What is the quality of the foods they buy? How often do they visit the doctor, and how often do they follow her advice? There are too many potential confounding factors to measure and correct for, and collectively they have the potential to be significant. In my opinion, this means that observational data gathered from populations that already have opinions about the factor you're trying to study may tend to reinforce prevailing notions regardless of their accuracy. This brings us to the recent study on meat intake and mortality. It was a massive observational study that followed the diet and health of 617,119 elderly Americans for 10 years. Researchers found that the highest quintile of red meat intake was at an elevated risk of cancer and cardiovascular disease, and had an overall risk of dying about 1/3 greater than those in the lowest quintile. That's a pretty somber finding for those of us who love a juicy steak. But let's look at a few of the things that came along with red meat intake. I'm going to post a few graphs of factors that associated with red meat. They're organized by ascending quintiles of red meat intake; in other words, the people eating the least (left) through the most (right) red meat. As compared to men eating the least red meat, men eating the most were three times more likely to smoke, half as likely to exercise regularly, and 22% less likely to take vitamin supplements! These are clearly people who are less concerned about their health in general. The investigators adjusted their model for a number of potential confounding factors: education, marital status, family history of cancer, race, body mass index, smoking history, exercise, alcohol intake, vitamin supplementation, fruit and vegetable intake, and hormone replacement therapy. This adjustment weakened but did not eliminate the association between red meat intake and mortality. But again, you can't adjust for variables you don't measure. How about vitamin D status? Sugar intake? Quality and frequency of doctor's visits? Mental health? Dental health? Quality of food? There's no way to measure all the little things a health-conscious person will do to take care of himself. These unmeasured (and sometimes unmeasurable) factors can add up to have a major impact on health. So in the end, what are these studies really measuring? The association between diet and health, or the association between a health-conscious lifestyle and health? There's no way to know without a controlled trial. Here are a few other critiques of the study that are worth reading. Chris Masterjohn points out that the investigators' method of measuring meat intake was stunningly inaccurate, and they may have been measuring wishful thinking more than meat itself. Dr. Michael Eades points out that two other studies appeared at the same time, without fanfare, that contradicted the study's findings. And Jenny Ruhl discusses the implications of the bizarre finding that red meat intake also associates with the risk of accidental death. Ok, the diet and reinfarction study. Burr. I can only get the abstract. And no, I'm not rich enough to pay for it. No, I have to work and the nearest university library is an hour's drive. Is there any way for you to provide a link to a free full text? This was a trial fo British middle aged men who had already had one heart attack. No women, certainly not a study that you can generalize to healthy community dwelling younger/ cardiovascular disease free men and women. Yes, they were randomized into three groups: One group was told to eat more fatty fish, thid group was found to have a 29% decrease in their risk of having a second heart attack. (Statistically significant) The second group was told to decrease their fat intake/ increase their PUFA and decrease their saturated fat. 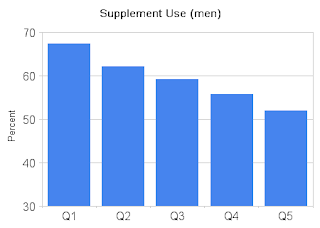 This intervention had no effect, although they wonder how compliant the men were. The third group was told to increase their "cereal grain fiber". There was no statistically significant effect on heart attack or all cause mortality. Cheerios anyone? I don't really understand "strong" but "not statistically significant." An oxymoron to me. Can you get us access to full text? DART wasn't the perfect intervention trial, but it's all we've got and it certainly beats the pants off the observational studies that have been done. What would be the mechanism that would explain fiber having no effect or possibly a negative effect in heart attack patients but being healthy for the rest of us? What I mean by "strong trend" is they analyzed the data at specific timepoints because that's what they had decided at the beginning of the trial. If they had analyzed the whole trend, I suspect it would have been highly significant. The effect wasn't that far behind the fish oil effect in magnitude. The fish intervention reduced deaths by 29% after adjustment for confounders while the fiber advice increased risk by 27%. They didn't list p-values but fiber must have been just on the cusp of 0.05. The reference for the DART study is Lancet. 1989 Sep 30;2(8666): 757-61. There is no link to the free full text so you'll have to pay for it if you want to read the whole thing. This would be the ideal place to cite Gary Taubes' New York Times article on epidemiology and why it so often gives wrong answers. The article notes that there's an official name for the correlation between good health and doing whatever the authorities tell you to do: the healthy-user bias. In other words, suppose a government agency says that quacking like a duck while saluting a statue of Stalin prevents heart disease. By the healthy-user bias, observational studies done a decade later will discover a strong positive correlation between longevity and quack-saluting Stalin. Why? Because taking care of your health is correlated with both living longer and seeking out healthy activities. I had forgotten all about that article, but thanks for reminding me. Taubes is a rare beacon of skepticism! You might want to do a Gscholar search for Ian J. Deary's work on IQ and health. (Gottfredson & Deary 2004 makes a good, short overview.) Cognitive factors go completely overlooked in these things, but the correlation with accidental death and injury doesn't have a more plausible explanation IMO -- things like executive function and reaction time are what keep you from getting hurt, and low IQ correlates negatively with both. Holy convoluted grammar, Batman! I mean IQ correlates with EF and fast RT, obviously. Good point. Thanks for the reference. I'd love to see a good study compare/contrast the effects of a diet containing high quality red meat (grass fed, no antibiotics, higher omega-6's, etc) and low quality (stereotypical CAFO, antibiotic fed, etc) red meat. Is there anything out there I'm not aware of? Good points discussed above, I'm a fan of this blog. Excellent article Stephan. Your blog has become a staple in my source for quality information. So, where did the education go wrong for so many of these scientists? Or is it the natural tendency to maintain ones face that drives this unconditional hold on a core belief that restricts the ability to "see the bigger picture?" I was once guilty of this crime, I worked in a social service nutrition program (WIC) and promoted the typical USDA eating program. I told people not to drink whole milk! I wonder if I self selected myself and broadened my knowledge or was it just a random occurrence? Off topic, but what school are you attending? Interesting post as usual, however let's give these scientists and epidemiologists some credit. They are not stupid and blindly pointing at correlation as causation. I think the most important point you mentioned is the need to use judgment, as nothing is absolute proof of causation, including placebo controlled trials. After all, because some intervention worked in 60 yr. old American males at high risk for heart disease in 1960 doesn't mean the same intervention will benefit 30 yr old men in 2009. And that's assuming you can run a controled study where the only thing you vary between conditions is a single nutrient, which is almost never the case. Given that the best, we can do is use judgment, epidemiological evidence points towards causality when the effect magnitude is large, when the results are robust across different populations (e.g., men and women, old and young, fat and thin, diabetic and non-diabetic, asian and white) and studies, and where there is a dose-response effect - all the type of evidence that has been attained for consumption of nuts (and glycemic index I think). And I communicated with someone who knew him and learned he lived off of whole wheat bread and salads. And in sharp contrast to this 62 year old, American soldiers in the Korean war were found to have atherosclerosis including plaques on autopsy, whereas Korean soldiers (who must have lived on rice considering how poor Korea was at that time) had clean coronaries. 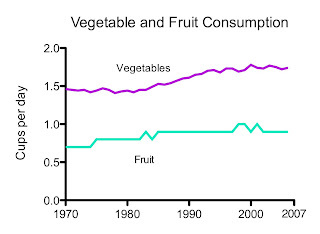 In any case, the fact that they had little animal sources of vitamin K didn't seem to hurt any of the above (or the large number of vegans who live well into their 90's). Even if animal vitamin K is a useful nutrient, it apparently isn't that important or else is also made by bacteria in the human gut. In reference to an earlier reply in which you mentioned that atherosclerosis is hard to produce in animals, I've heard from autopsy studies that virtually all old animals have atherosclerosis. Also, I've actually seen in several studies that atherosclerosis is very common in Salmon - which seems ironic considering how much they are valued for their omega-3. I wonder if you have any thoughts about that? Does one tablespoon of raw grass-fed butter per meal sound adequate to you or should I be eating more? I think the problem is in the interpretation rather than in the data themselves. The media, and often the investigators themselves, are fond of overreaching. I'm at the University of Washington. I don't lay the blame on the data: the association is the association. And I don't really blame the authors of the study either. They were careful not to state that the red meat caused increased mortality (although that's not always the case). But you know how the story got picked up and disseminated. The distinction between association and cause was lost, and it turned into diet advice. That's irresponsible, especially for a hazard ratio of 1.31. A skeptical epidemiologist would not take that as a sign of causality, particularly considering the poor agreement in the past between epi diet studies and controlled trials. Give me a HR of 3.0 and you're speaking my language. I don't dispute that smoking probably causes lung cancer. I also don't dispute that Pritikin's arteries were clean on autopsy. That tells us that it's possible to avoid atherosclerosis living like he did, but it doesn't say anything about whether that's an effective way for the average person to avoid atherosclerosis. I would say it's unlikely to be helpful for avoiding heart attacks in general, given the failure of low-fat diets to prevent heart attacks in controlled trials. The anecdotes I posted on tooth decay were to prove the point that it's possible to heal it, not to prove that the method I proposed to do it is best. For that, you need controlled trials like Mellanby did. The Korean diet is rather abundant in vitamin K2 compared to the American diet. They are fond of organ meats and they also eat fermented foods. They also didn't eat all the hydrogenated oils we were eating at the time. Actually the Korean diet is pretty high in animal foods in general. I'd like to see a reference to support your statement that virtually all old animals develop atherosclerosis. I don't believe that's correct. Dogs for example rarely have it, even domestic dogs. When they do develop atherosclerosis, it's typically associated with hypothyroidism or diabetes (see PubMed ID# 12892299). A quote from the abstract: "Dogs with atherosclerosis were over 53 times more likely to have concurrent diabetes mellitus than dogs without atherosclerosis (POR = 53.6; 95% CI, 4.6-627.5; P = .002) and over 51 times more likely to have concurrent hypothyroidism than dogs without atherosclerosis (POR = 51.1; 95% CI, 14.5-180.1; P < .001)." When animals do develop atherosclerosis (which does happen sometimes, I agree), it's typically not the same type or the same degree of severity as you see in humans. And it very rarely leads to a heart attack, even in old domestic animals. The cholesterol-fed rabbit was one of the earliest animal models of atherosclerosis that resembled human arterial lesions, and was considered a breakthrough in 1909. The reason it was considered a breakthrough is that up until that point, they hadn't succeeded in finding an animal with human-type arterial lesions. The best they had was response-to-injury models which required harsh treatment and didn't faithfully reproduce the human condition. I'd have to take a look at the salmon study you mentioned. If they're looking at salmon that are spawning, that would make sense because they go through a process of accelerated hormone-induced senescence at the end. I can't really be quantitative about it because not enough is known, but that sounds like a reasonable amount to me. I haven't seen any studies like that, and I doubt they will ever be done. But it would certainly be interesting. You make interesting points, but the Koreans were living at subsistence levels during the Korean war and had limited access to animal foods. Also, Pritikin clearly wasn't eating much K2 if any. Yet compare someone like Pritikin or the 62 year old Chinese runner I cited who had virtually no atherosclerosis at autopsy compared to the pervasive atherosclerosis found in younger Masai and in young American soldiers in Korea in the 50's (who were eating a ton of saturated fat and whole milk as your chart illustrates). The degree of atherosclerosis in the Koreans and Americans at the time reflects what they were eating in the decades prior to the war more than the war itself. The traditional Korean diet is quite good by my standards, and rather rich in nutrient-dense animal foods like organs and seafood. The American diet by that time was awash in industrial/hydrogenated vegetable oils. Regarding Korean vs. 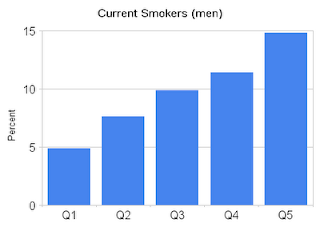 US CHD - smoking prevalence in the US was ~70% at that time, and people started smoking young. I don't know the stat for Korea, but cigarettes weren't introduced there until the late 1930s I believe, so I imagine smoking prevalance was much, much lower. Thanks for pointing that out. The association between smoking and CHD is one that I do find believable. Although it's not the only factor, as the French have a low CHD incidence despite their smoking, and the Kitavans have an undetectable CHD rate despite the fact that they nearly all smoke. I think there are factors that protect against smoke damage. Both populations eat a lot of saturated fat. But smoking is clearly not a good idea. I don't know whether marathon runners have as high levels of atherosclerosis as non-runners - that study you cited is of runners that mostly started running in middle age or late middle age; however, I do agree that marathon running is not insurance against CHD as evidenced by Alberto Salazar, Jim Fixx, and the powerbar guy. However, the point is that the chinese marathoner was 62 with virtually clean coronaries, and according to someone who knew him lived off of whole wheat bread and salads. Conversely, Jim Fixx lived off of pastries, Salazar was clinically depressed, and the powerbar guy ate powerbars. Hence, I have some belief that maybe eating a diet of whole grains and vegetables is protective of CHD, whereas one that is full of trans-fats and/or refined high-glycemic carbs (e.g., like in powerbars) is not. The Japanese also have very high smoking rates with low levels of CHD. In fact, there is no factor linked to CHD--dietary or otherwise--that has nearly as strong an association with CHD as smoking has with lung cancer, which suggests that CHD is highly multifactorial. Also, I find it kind of interesting that you think that the "healthy" lifestyle of those who don't eat red meat is protective against disease, since you dismiss every aspect of what most individuals consider healthy as harmful or useless --- n-6 fats, low saturated fat, exercise, whole grains, fiber etc... what are these healthy-living people doing that is so healthy that makes up for all these ostensibly unhealthy practices? I can't help but think that any modern study concerning fats is skewed by the amount of grain consumption. Pasta = Paste. Plenty of inactive people die in old age with squeaky-clean arteries, so I don't think anecdotes of marathon runners with clean arteries are particularly useful in getting to the bottom of this question. You asked what factors I think could account for people eating omega-6 and improperly prepared whole grains and being healthier than the population at large. Here are a few: sugar consumption, trans fat consumption, processed food consumption, smoking, alcohol, other drugs, exercise, psychological stress, food quality, vitamin D status, health insurance status, quality of medical care. Those are all factors that are likely to differ between a person leading a "health-conscious" whole grain, vegetable oil diet and someone eating like a typical American. It's also important to recognize that the so-called healthy groups that studies like the red meat study identify are not actually that healthy. Truly healthy populations have a risk of heart attack and stroke that approaches zero. I'm talking about the Kitavans, Masai, Tokelauans, certain Bantu groups, Papua New Guinea highlanders, etc. So even the American group that avoids red meat, cigarettes, etc. is not optimizing their cardiovascular health, not even close. I believe that's because they have a mistaken impression of what constitutes a healthy diet. I'd like to point out that I never said whole grains are unhealthy. To the contrary, whole grains have sustained a number of cultures that I consider to be healthy. What I'm saying is that improperly prepared whole grains are unhealthy. They need to be soaked at a minimum, but preferably fermented. I also feel that wheat is not an ideal food for most people. There will always be exceptions, but I feel that explanation is consistent with the totality of the data I have right now. That review you linked to is an AHA advisory. Those guys are trying to cover their butts because they've been recommending PUFA oils for decades, while other authorities are jumping ship now that they see the negative consequences. Did you notice that the Harvard Medical school (Willett et al.) quietly shifted to recommending monounsaturated fats like olive oils instead of PUFA oils? The trial you cite also makes a statement "LA intakes are not associated with risk for cancer.26"
There is a great deal of work that suggests that excessive Omega six intake may have a part to play in the risk of cancer. It is fairly widely recognised that long chain Omega threes are beneficial in reducing the risk of cardiac disease. Omega three and six are in effect inseparable in that they conduct a dance of opposites in controlling a wide range of body functions through a number of mechanisms including the eicosanoid and docosanoid pathways. Plant-based Omega three and six are only found at low levels in green plant material, and only found in quantity in primarily seeds and nuts. Seeds and nuts were seasonal scarce difficult to gather and competed for. Omega three and six plant-based fats are also concentrated into animal fats to which Hunter gatherers would also have access. Levels of Omega six in wild animals also follows the seasons. It would have been difficult for humans in the natural environment to have eaten more then about 2% of calories as Omega 6. Plant-based Omega three would have been always in balance with plant-based Omega six within the ratios of about 1:1 and 1:2. Omega three and six compete for the desaturation enzymes by which they are converted into longer fats. They also compete for the COX1 COX2 and LOX enzymes by which they are converted to their downstream products. If they become significantly imbalanced the production of these important chemicals becomes distorted. This cannot but have a significant effect on body function. Many of the trials that are discussed in this paper will have been looking at people with intakes of between 8% and 12% of calories. There are a number of suggestions that the impact of Omega six flattens out and 4% and possibly lower. If this is correct you will not see incremental effects on inflammation at the sort of intake levels were being examined. If you're in the medical profession, you may find the book "Omega three fatty acids in clinical nutrition" by Heller Stehr and Koch interesting. "Fish oil the natural anti-inflammatory" by Joseph Maroon vice-chairman of the Department of neurological surgery at the University of Pittsburgh School of Medicine thought-provoking. This book is aimed at the general public. William Land book "Fish Omega-3 and Human Health" is a wider look at the subject. Professor Lands is internationally respected and has been in this field over 50 years. I believe that once you have an understanding of the mechanisms underlying Omega three and six it is hard to escape that excess Omega six is a factor underlying the increase in western degenerative conditions. You're doing a fantastic job with this blog. You have a great ability to communicate and to make the readers relate. Perfect triumvirate of audience, communicator, and knowledge. Thanks for the blog, I enjoy reading it every time! Stephan, this post and Part I are wonderful. They ought to be required reading in graduate research methods classes, as well as high school science or statistics! Can you give us a reference for Willett et al. 's shift to "recommending monounsaturated fats like olive oils instead of PUFA oils"? I'm really interested in that threshold effect of linoleic acid as well. It makes perfect sense from a biochemical standpoint. The desaturases become maximally saturated. You see the threshold effect in the animal models of cancer. I also wonder if that explains why some of the early diet trials saw greatly increased mortality in people who replaced saturated fats with polyunsaturated vegetable oils (Rose et al, Anti-Coronary club), but that effect didn't persist into the later trials. It may be because the background LA intake was much lower in the early trials. I've been reading more about the Lyon trial lately, there's a lot of interesting stuff in there I wasn't aware of. For example, did you know the control group was eating the American Heart Association step I prudent diet, haha? 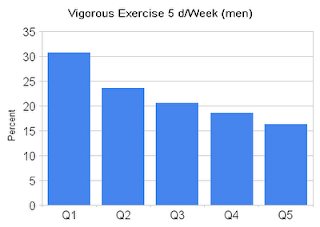 Also, the intervention group reduced their LA intake to near the 4% threshold (4.6% average). There were probably a number of participants below 4%. I'm going to do a detailed post on the trail soon. The reference is Willett's book "Eat, Drink and be Healthy", which I read a few years back. Stephan, I too am a nutrition enthusiasts. I read your blog, WAP, and several other "AUTHORITIES". I am greatful for the info, but dont you think that people are just overcomplicating things. I dont know what optimal is. A plethora of studies are cited by vegans, animal meat eaters, PUFA lovers, and SFA lovers. The fact is that a healthful lifestyle seems to consist of exercise, and eating whole food in moderation. The REAL problem seems to be the huge mess you get when you mix factory animals, refined sugars, refined grains, chemicals as artificial sweetners and preservatives, sedentary lifestyle, environmental toxins, etc. I mean avoiding all these is great, but after that fretting over macronutrient composition seems almost redundant. At the end of the day, we are all just rolling the dice. No one really knows whats optimal. I think certain things have been overcomplicated. But the more our lives become immersed in unnatural foods, the more complicated it becomes to keep our food healthy. If we were all hunter-gatherers, it would be pretty easy: you just eat what's around and what tastes good for the most part. But when 95% of what's in our grocery stores is unnatural to the human body, it gets more complicated. I don't think macronutrients are worth worrying much about, personally. Quality is more important than quantity. If you just stick to foods that your body recognizes (whole, natural foods, prepared traditionally, including some nutrient-dense animal foods), after that it's a matter of taste. I think the way you process nuts becomes more important as you eat more of them. Toasting and soaking will reduce the levels of tannins and anti-nutrients. I don't think it's a big deal to eat store-roasted nuts every now and then. If they form a big part of your diet, it might be worthwhile to soak and dehydrate or toast them yourself. On the contrary, in unhealthy cohorts, the observation of beneficial effects of supposedly unhealthy foods should reflect a higher probability of this association being causal? For example, there are a series of studies that evidence that increased animal protein, total fat and saturated fat might be protective against stroke risk. In this case, is it more probable that the association is causal, when compared for example with those studies, in healthy cohorts, that find that whole grains are very healthy even for diabetics? In other words, extracting causality from unhealthy cohorts is less wrong that doing it from healthy cohorts?